The cool nights are setting in which means I find myself looking for a little something after dinner. It’s not entirely the fault of the weather – the 7:30pm time slot of Masterchef airing is also pure evil on the hips. 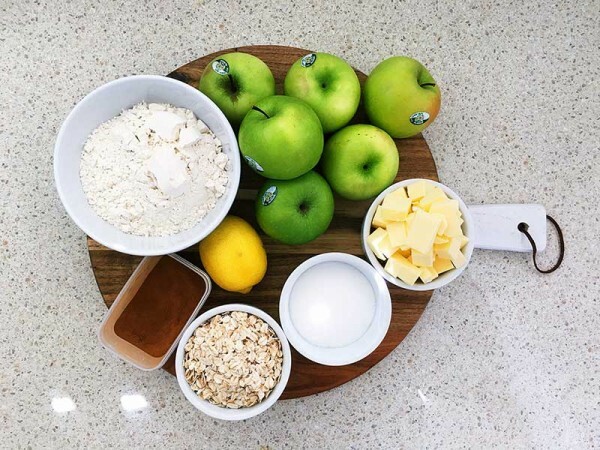 Nevertheless, I have a dessert for you which will warm you from the belly out – apple crumble. Yes, finally a use for those Granny Smith apples abandoned in the fruit bowl! 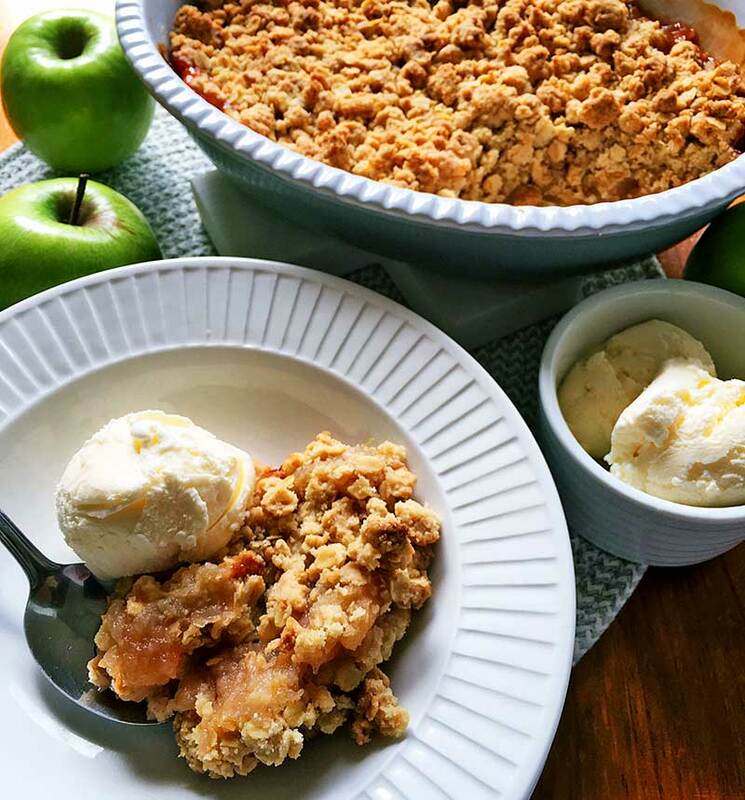 Don’t be fooled by the fruit and oats in this recipe folks, this apple crumble cements itself firmly in the treat category. I won’t deny it, the recipe calls for a lot of butter (and sugar), but all is forgiven with that delicious biscuit like topping and caramelised apple. With that disclaimer aside, let’s get to cooking. 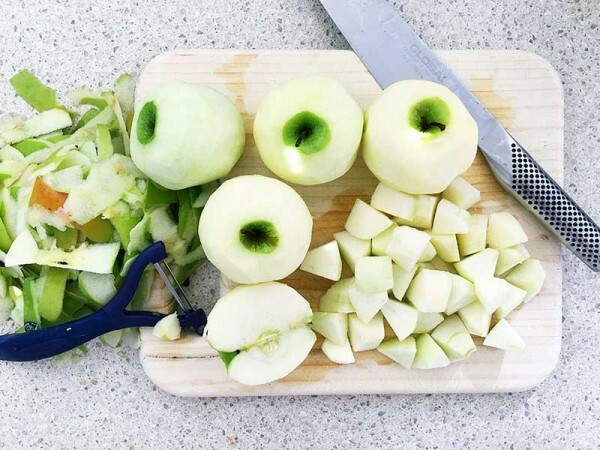 Peel, core and cut the apples into 2cm dice chunks and place in a large bowl. 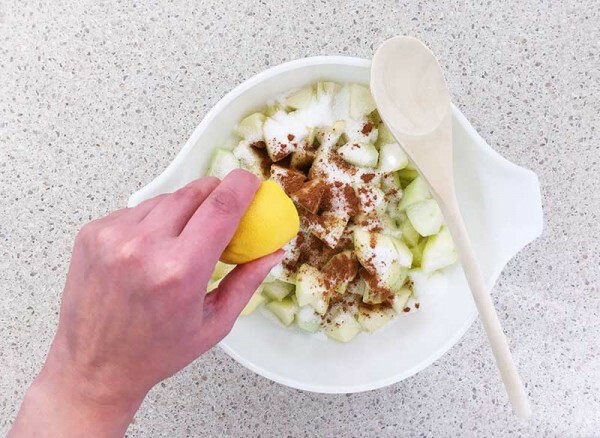 Add the cinnamon, caster sugar and lemon to the apples. Mix to combine and transfer to a 1.5 litre capacity oven proof dish. 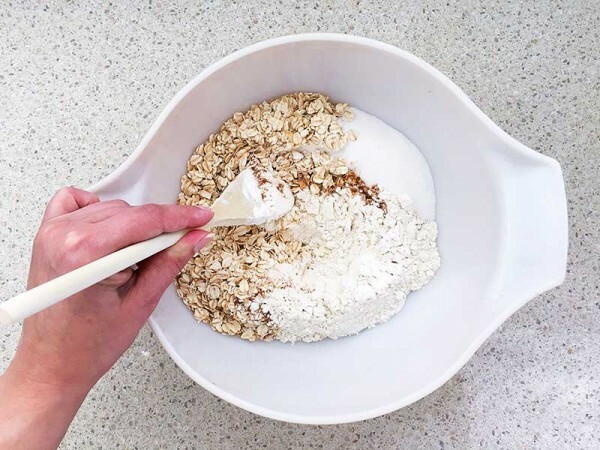 To make the crumble topping, place the flour, oats, sugar and cinnamon in a large bowl and mix to combine. Add the melted butter and mix again. Spoon the crumble mixture over the top of the apple and place the dish on a large baking tray. 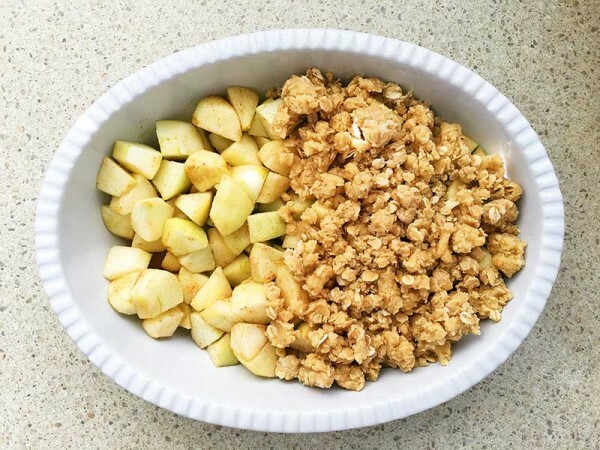 Bake for 40 to 45 minutes, or until the crumble is golden and the apples are soft and stewed. A favourite recipe of mine from the Donna Hay files, this dessert serves six people, and of course, you must serve it with vanilla ice cream for the ultimate hot and cold tasting experience. Bon appétit!